Four Fountains De-Stress Spa is the best body spa in Bangalore that offers massage therapies that are intended to manage stress-induced health issues such as pain, low immunity, sleep problems, early ageing, etc. The therapies offered at the spa are selected based on their efficacy to manage a specific problem. Since the mission of Four Fountains De-Stress Spa is to create stress- free India the spa offers professional and scientific massage for men and women in Bangalore at affordable prices. The therapies offered at the spa in Bangalore are priced between Rs. 599 - Rs. 1999 You can now include regular body spa in Bangalore as part of your wellness regime. Why Do People Tag Four Fountains De-Stress Spa As "The Best Spa in Bangalore"? Stress has become a regular part of almost every individual who lives a hectic and busy life in city like Bangalore. Unlike other spas, Four Fountains De-Stress Spa takes a unique approach towards solving stress related problems. The therapies offered at the spa are not intended for only mental and physical relaxation, but are also proven for their health benefits. Maintains high level of professionalism. What do Our Happy Guests Have to Say? I love Aromatherapy Massage and Green tea scrub massage at the Four Fountains De-Stress spa. Ambiance is good and staff very Cordiant. "I like Swedish Massage and Aromatherapy body spa in Bangalore as it makes me feel very relaxed and energised. The spa is very professional and hygienic." I am a member of Four Fountains De-Stress spa since last 2 years. I am very happy with the quality of service, affordability, and friendly staff. 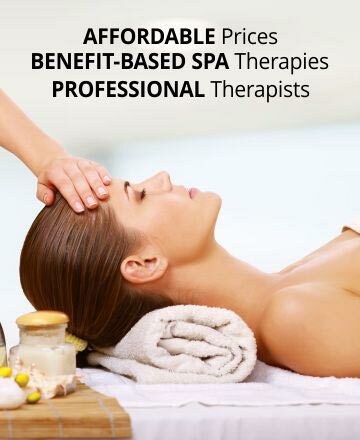 I recommend this spa to anyone looking for spa in Bangalore.